START TO FINISH CARE OF THE HIGHEST STANDARD FOR YOU AND YOUR CAR. Come and discover superb levels of customer service and the finest workmanship. 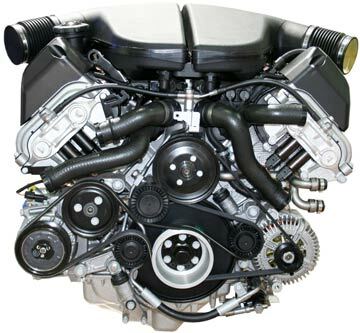 Routine servicing is essential to maintain your car’s long-term health and reliability. It also keeps the performance, economy and resale value of your vehicle optimised. Getting your oil changed for example is of critical importance as it’s the life-blood of your car’s engine. Running your vehicle with a lack of oil in it, or oil that’s well past its best before date, can cause serious damage to your engine’s internal components. This is a legal requirement for all vehicles over three years old and serves to keep your vehicle roadworthy and safe. Our highly trained technicians perform a comprehensive inspection of the car and identify any components that require attention immediately, or in the future. Additionally, we use the very latest technology and technical guidance to assess, amongst other things, the emissions of your vehicle. Did you know that an MOT can be carried out up to one calendar month in advance? Inject some personality into your vehicle and talk to us about any customisation queries you have. We have many years’ experience of transforming vehicles into something special. Looking for a bespoke electronic device installation, or perhaps some tasteful body upgrades to improve aerodynamics? Got a restoration project you’d like us to help you with? There’s very little we can’t do. Whether you’re seeking a manufacturer or aftermarket part, we benefit from having a vast network of part suppliers at our fingertips. Also, don’t worry if your model is of a more mature vintage; we can source pretty much anything, no matter how obscure or hard to find. We’re also specialists in extracting the most from an engine, whether that be power, torque, fuel economy, refinement or throttle response. Our tweaks will amplify your driving experience while retaining your vehicle’s inherent characteristics. ECU remaps, gearbox software upgrades, exhaust valve tuning to improve sound and performance, and turbocharger and supercharger enhancements are all within reach with us. Our spacious workshop has all the equipment we need to be a genuine one-stop shop. We won’t shy away from getting into the deepest recesses of your engine to fix that mysterious misfire, or get to the bottom of that trim rattle that nobody else can fix. And, in case you’re wondering, we do everything in between, including bodywork repairs. Need a roll cage installed complete with racing seats, safety harness and fire extinguishers? We always scrutinise the details of your race series regulations to ensure full compliance first time around. If you require upgraded brakes, an ultra-firm suspension, or a heavy-duty clutch capable of handling those engine modifications, we do that too.